Yesterday was the 30th anniversary of the death of Jane Roberts, the channel for Seth. I remember the day clearly, as my family and I were visiting my mother in New York State. Mom lived just a few miles from where Jane and her husband, Rob Butts, lived. I was introduced to Seth by Tom, a good friend and a psychotherapist. We were having some family problems at the time, and Tom thought it would help if I read The Seth Material. So he gave me a copy. I read it cover-to-cover in just a few days–and I was hooked on Seth. I’m still hooked today. That was long before I started channeling my spirit guides. I incorporated much of what I learned from Seth and Jane into my personal and spiritual lives–and also into my work with my spirit guides. We create our own realities by what we focus mostly on. We are not the helpless victims of life. We are the creators of life. All our power is in this present moment. In the world of spirit there is no linear time, no past and no future–only the present. We make ourselves victims when we live in the past of the future. Neither of those exist–they are only distortions of the present moment we create for ourselves. Life is supposed to be fun. We, as spirits (before we chose to incarnate, or reincarnate, did not intend a lifetime of misery and sorrow. We intended to have fun. Yes, most of us chose some pretty hefty challenges. But even in the midst of those we intended to have fun. P.S. For those of you who do not know, Tam Mossman was Jane’s longtime Prentice Hall editor for the Seth books. Tam and I were good friends for many years. He died this past May. Godspeed, Tam! This video, Seth Speaks: Your Beliefs Form Reality, features Jane channeling Seth in 1972. Since this is such an old recording there are subtitles. How Do We Reconcile Reincarnation and Simultaneous Time? What has been your experience with Seth and his teachings? Please share your thoughts and comments with us below. You are free to publish or syndicate any of our articles. Visit our archives to view the articles. It’s quick and easy. This article appears courtesy of John Cali and Spirit. John Cali is a writer, blogger, and channel for a group of spirit guides. His next book is Conversations with Spirit: Real Answers To Life’s Pesky Questions, Book 1. John lives in northwestern Wyoming, in the USA’s northern Rocky Mountains. Sign up for his free newsletter here. You’ll receive a free copy of The Book of Joy: How To Live Every Day of Your Life Happily Ever After. I love the fact that Seth showed us that ‘The Present is the Point of Power’and this is where the god-self lives. It cares not for the past or future and it springs forth from the ‘now moment’. Some of the greatest comedians, who just passed away, have left us with a legacy to take life lightly and with a smile. They must REALLY be having a wonderful time entertaining the world of spirit. I’m sure Seth and Chief Joseph have a front row seat watching them tell their experiences from earth. And thanks to you, John, for your reminders of who we are and sharing your life experiences. Much love! Thank you, dear brother, for your sharing. You gave me a real energy boost. My experiences with the Seth material have been decidedly mixed. I agree with the main messages, but after reading some of the books, I’ve come to the conclusion that it’s not for me. The more specific/detailed she gets in her translation, the more off-track the information feels to me. And after watching a video of her channeling Seth, it was easy to tell why. I’m grateful that Jane has paved the way for other channelers with their Seth books. Thank you, beachdrifter. I’ve talked to others who feel the same about Seth as you do. I understand. As with you, I am grateful — eternally — Jane paved the way for other channelers with their Seth books. And she also paved the the way for other channelers with their work. I am one of those. I think it has to do with the limitations of the human language and the physical perspective we have here. Abraham has spoken about some of that too, explaining why their teachings have gotten more and more general over time. By describing the non-physical dimensions through a language that has been created by humans to describe the physical dimensions, they noticed that the more specific they got, the more they created fairy tales in the heads of their audience, because the literal content of the words was no longer reflective of what they were expressing vibrationally. So even though Esther found the best physical word equivalent, it was simply insufficient to accurately convey the information. Seth himself has said that a certain level of distortion is inevitable in these translations. And it seems logical to me that the more specific you become in your descriptions, the more pronounced this issue has to become. So I guess the question is how much of that you’re able to take before it starts feeling off to you. I’ve seen with you, at least from what you’ve published, the same trend (getting more general). The advantage of that approach would be that you have a better chance of keeping the receiver of the message in alignment, allowing him/her to understand the content way beyond the words that are being spoken. But if you tried to express all that knowledge through words…not only would it get increasingly complicated, but the potential for creating distortion and misunderstandings would grow exponentially. At least that’s how I’m understanding it right now! I understand completely, beachdrifter. I think that’s a challenge for anyone who speaks to Spirit — to just be as clear a channel as possible. But even then, the best we can do is find close equivalents in human words. But Joseph told me years ago not to be too concerned about all this. He said the vibration, the energies of Spirit would be conveyed to those listening (or reading), no matter what the words were. They would “get it” on some level of their awareness. I hadn’t seen that trend in our work — so thank you for pointing it out. As I think about it, I agree with you. We do get specific, sometimes in great detail, when we do personal readings. But those are different from public forums. So I agree with all you said. Thanks very much for your wise words. Thank you again for more valuable information on your blog. I really get what beachdrifter is saying here! One of the reasons of all my questions on your past blog. I was confused with the channelers messages because I was seeking more detail. I think there is more meaning to their messages, that maybe what is recieved is the truth based on love and not on the human ego? As Seth said, when we live in the past or the future or hang onto that makes us feel like victims? Therefore maybe that makes us go through experiences of the like? Maybe there are many paths to get to the end result, if I can interpret right what I am trying to express? Anyway, I am very detail oriented haha! I have been reading channeled works for years..this is my “thing.”…after Seth though. I read bits and pieces or Jane Roberts but my first experience was White Eagle channeled by Grace Cooke, and The Eagle and the Rose, by Rosemary Altea, also writings I started out reading at the School of Metaphysics. So many others including Conversations with God, when his book first came out, no one really knew about it. I myself began to automatic write which turned to conscious channeing(they call it? vs. trance channeling) and I found it hard to sit still or discipline myself. I felt myself coming through too, mixed with spirit, so I quit(to some degree) not feeling it was genuine or maybe because of my own lack of self esteem? When I look back and re-read my writings after the fact, it surprises me, and it doesnt feel like me!! I like the points you mentioned that stuck with you and they make sense as this adds to what I seek to learn. Thank you for being a teacher to me also! So many people channel now, it seems to be becoming a natural part of who we are. Thanks very much, Christine, for your comments and sharing. Everyone, I believe, is a channel. And there are as many ways to channel as there are channels. We’re all unique. Even if we’re all saying the same things, each of us brings our own special energy to the information. Many years ago, my spirit guides started calling this our “energy imprint.” That imprint is unique, just as we are unique. We can express our uniqueness in many ways — writing, speaking, music, art — the ways are endless. And all paths lead home. Thank you, John, for your reply to my question and inserting the segment about the one who was in Auschwitz. I know my question was on the negative side, but it was something that had recently been bothering me. Sincerely, Gail. You’re most welcome, Gail. I have no problem with seemingly negative questions — we’ve all had them at one time or another. The great thing is you are being honest about where you are in the moment. We should all follow in your footsteps. In the early 1970’s a lady friend and I in Franklin, N.C. had just read a book we didn’t care for so we exchanged books. The book she gave me was “Seth Speaks”. For first time in my life I felt validated after reading it and insisted on getting every Seth book available thereafter. Also Sue Watkins books about Jane Robert’s esp classes “Conversations with Seth” I am now 89 years young and can look back on my life with no regrets. My youngest daughter considers me indestructible and an wise old soul. Up until that time I had felt like an alien in the universe as I knew of no one that I dared to share my thinking without being considered for the insane asylum. I didn’t let it bother me since there were so many activities on earth that I enjoyed including nature and agriculture and I am very adaptable. From my present perspective, I should have wondered why most other people acted like aliens, as they were the ones so dissatisfied with their existence on earth and I was the one enjoying life on earth. To this day I get a daily Seth quote as reminders From: “David Ross” . I can look out the window of my computer room and watch my landscaping including edibles and flowers growing and developing. I love watching things develop, including plants, animals, people, and events. To me heaven is on earth. Thanks very much, Max. I think your experience mirrors that of so many others when they were first exposed to Seth’s teachings. That certainly was my experience. As you said, it felt validating. Sue Watkins’ books were great too. You’re an amazing person, Max! I don’t know many in your generation with such an uplifting, positive outlook on life. In fact, I don’t know too many in even younger generations. But people are waking up, in consciousness and in their appreciation for the beauty of life on earth. As you said, heaven is on earth! Thanks again. God bless you! Thank you for reminding me about one of the most trans-figurative teachings in my life. My first book was ‘the Nature of Personal Reality’. I remember sort of my feelings of lightness and seeing clearly – being able to each out with my spirit self to the world around me – as I encompassed the message ‘now is the moment of poser’ and ?what was the other one? maybe something like ‘you can’. I read most every one of the Seth books as I raised my six children. Those and Carlos Castaneda’s were the backbone of my spiritual stability in those turbulent years. You’re most welcome, Lydia! And thank you for sharing your wisdom and light with us. I too read all the Seth books, several times over. I remember how freeing it felt to read Seth’s words — all the darkness of my religious upbringing simply vanished into the light. You’re welcome. There are not a lot of those old recordings around today. In answer to your question: To begin with, I would not project that thought out there. Our thoughts are powerful. Even if everyone around you is having a hard time, you still have the ability to be free and happy. Thank you for sharing your appreciation of Seth, and I assume Jane and Rob. 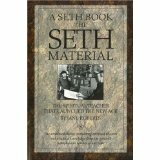 My dad gave me the book “The Seth Material” just after I graduated from high school back in 1968. As with most people who’ve read Seth, it changed my life. I had never felt I “fit” in the world, my views were so different from those of even my closest friends. Seth showed me why. With each piece of wisdom he offered I breathed easier, *knowing* that what he was saying was true for me. Seth was the start of a lifelong spiritual journey and I’m ever grateful to Jane and Rob, and Tam, for being willing to share this information despite what most of the world thought. I’ll take this opportunity to thank you was well, for bringing your own version of truth to the rest of us. It takes a special kind of being to be able to stand in their truth in the face of adversity. You are such a one and I thank you. You’re most welcome, Kathelena! Yes, indeed, I appreciate them all — Seth, Jane, and Rob. Also all the others who continue spreading Seth’s incredible wisdom and love — Rick Stack, Tam (from the other side now), and many others. I took Seth’s teachings pretty seriously too. And, like you, I learned about joy from Abraham, and from my own spirit guides. As I recall, Esther and Jerry also followed Seth around the time Abraham came through to them. Seth was and is the foundation of the spiritual paths so many of us are on today. Thank you so much for your kind words — I’m deeply touched. It’s all the wonderful, loving folks like you who make our work so fulfilling and joyful. Thank you for being in my world. Please explain how to “change your beliefs.”. How do I believe in a new mantra of (for example) “I have all the money I need to live richly” when all I have ever believed is “I have less than no money”? Thanks for all you do, John. Well, Becky, if you define beliefs as I do, it’s pretty easy to change them. Not necessarily quick, but easy. A belief is simply a thought you keep thinking. Keep thinking thoughts that feel good to you, and you will — you must — change your beliefs. None of that is original with me or my spirit guides. But it does work. Maybe you have, in your words, “less than no money” in your current experience. But the fact you want that to change that, and experience more money, means that money already exists. It simply hasn’t entered your experience yet. You just have to allow it in. You allow by following 2 steps. First, accept what I just said as the truth — the money is there. Second, practice feeling you already have the money. The feeling is important. You are not doing anything wrong. Above all, do not beat up on yourself. You deserve all the abundance life and the universe have to offer you.